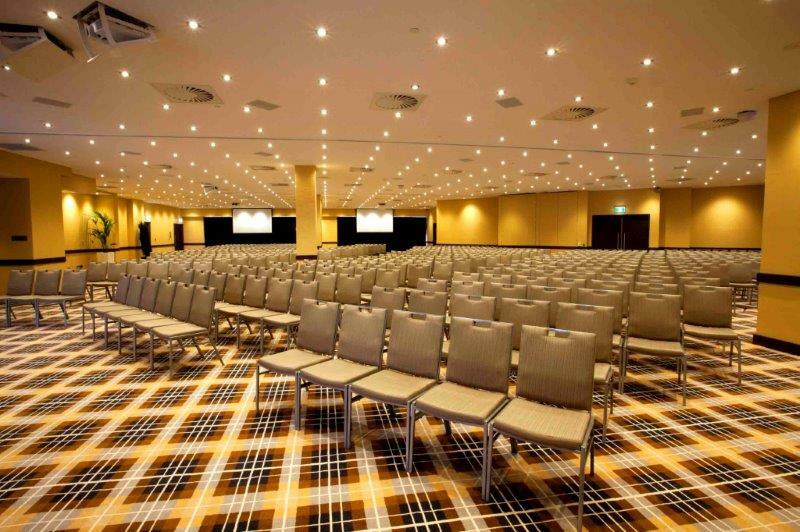 When it comes to function rooms and venues in Sydney, we really are spoilt for choice. 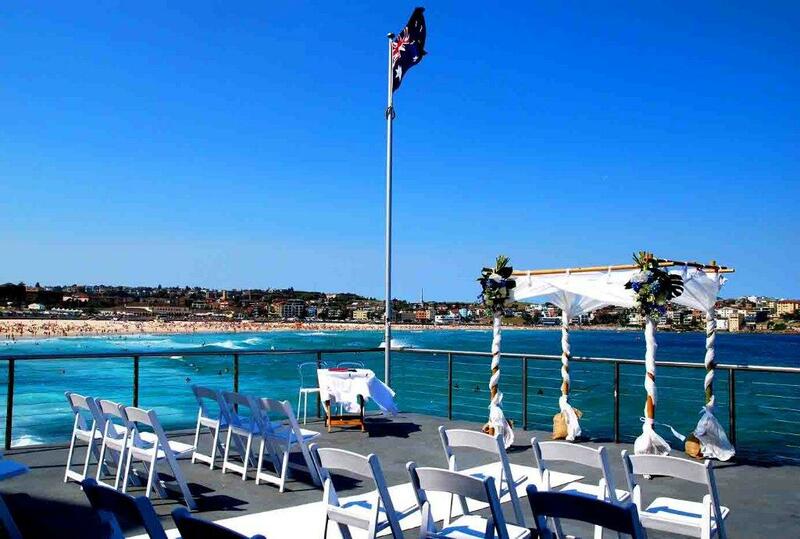 Whether you’re after beachfront venues with magnificent views or venues for hire in the heart of the CBD, whether it’s a small function or large cocktail style event, the function venues and event spaces in Sydney are second to none. The 3 Weeds is the perfect venue for your next party, special event or corporate function catering for all event types and sizes. From birthdays to engagement parties, corporate events or small get togethers, 3 Weeds offers a great variety of function rooms and packages. 465 The Avenue is nestled quaintly amongst the high-rises, and offers a multitude of function spaces available for hire. Catering for both sit-down and cocktail events, 465 The Avenue is a hidden gem and will make your next event a breeze. If you’re looking for a truly unique function venue, then look no further than The Australian Hotel – it’s about as Aussie as you can get. Boasting unique spaces which can accommodate private function, The Aussie makes entertaining easy. Azuma Restaurant is located in the heart of Sydney’s CBD and is renowned for its world class Japanese cuisine. It’s the perfect place to host any celebration, from birthday parties, private dining events or cocktail style functions. Looking for a function venue with a touch of Brazil? Look no further than BahBQ Located in Crows Nest, BahBQ fuses South American with Australian influences and is sure to add a bit of zest to any dining event. 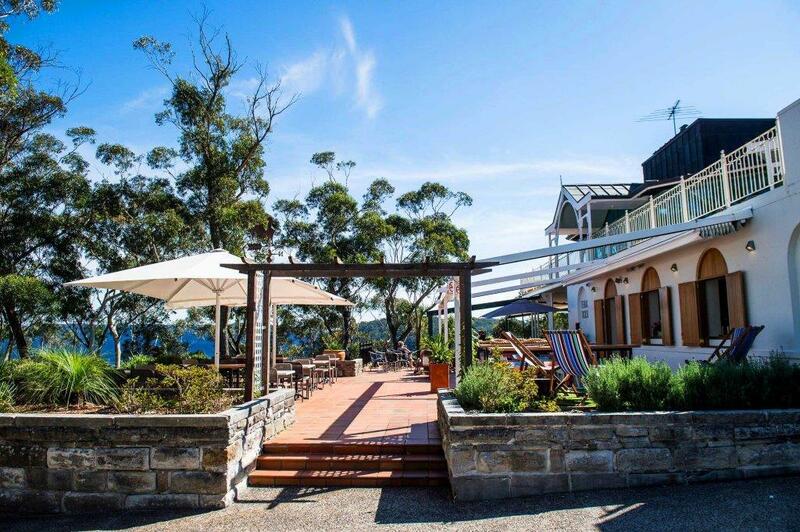 This stunning function venue is highly sought after, catering for everything from outdoor weddings, intimate dinners and stand up cocktail parties. Bangarra offers unparalleled views of the Harbour and is located in the heart of the arts precinct in Walsh Bay. The Beauchamp Hotel is an ideal function venue for corporate events, Christmas, cocktail and birthday parties and even upmarket dinner parties. Offering an energetic atmosphere, The Beauchamp is the perfect spot to host a party. Bertonia Lounge is an exclusive, modern function space entirely for private use. It’s the perfect venue for hosting all manner of events, from birthdays to corporate meetings and everything in between. Bodhi is somewhat of an institiution when it comes to good food, and great atmposphere. Its unique and modern setting makes it ideal for functions and events, where the quality of every detail is of upmost importance. Bondi Icebergs is as famous as it is picturesque. Offering a range of options to suit all function and event requirements, they’ll make sure that any occasion, be it a small party or large cocktail event is one to be remembered. Boronia House is a unique heritage listed venue located in Reservoir Park in Mosman and it’s its unique character that sets it apart from regular function venues. Boronia House can be hired on an exclusive basis for weddings, functions, conferences, and other events, as it has a variety of different spaces that can suit practically any occasion. Located on the water’s edge at Circular Quay, you and your guests are invited to take in the views of Sydney Harbour and the Harbour Bridge whilst enjoying your event. With multiple function spaces available depending on the size and style of your event, let Buckley’s take the stress out of your next event so you can sit back and enjoy. Bungalow 8 has become synonymous with throwing a hell of a good party. This tiki bar in the heart of the CBD makes the perfect place to host both sit-down and cocktail functions – but be warned, the night almost always ends with a boogie. Café Mint adds a bit of Moroccan spice to all their functions and events. Catering for corporate functions, birthday parties, hen’s or buck’s nights and everything in between, Café Mints function room is the perfect spot to host any event. Cafe Morso is a beautiful boutique waterfront restaurant & event venue with views to Balmain and North Sydney. Whatever your celebration, you can rest assured that Café Morso will deliver a professional event with a personal touch to your next function, event, or party. At the heart of its community, Canada Bay Club is located in Five Dock just 10km from Sydney’s CBD. The new centre offers spaces that are stylish, modern and elegant and suitable for a wide range of special occasions, corporate and community events. Cargo Bar & Lounge offers venue hire for all function big and small. Whether you want to reserve a few tables for small group get-togethers or combine both venues for one large function space, Cargo offer a myriad of function packages which can be tailored to suit your event needs. Casablanca prides itself on executing luxurious and innovative events and functions in their exciting venue. From Birthdays to engagement parties to corporate events, you name it, Casablanca is the function venue for all your event needs! Casoni can cater for Birthday’s, Corporate Events and Product Launches and fun fact, the space has even been used as a movie set. It is the much adored ‘corner’ restaurant to which people travel far and wide to get a taste of the exquisite dishes that leave this Eatery’s kitchen. 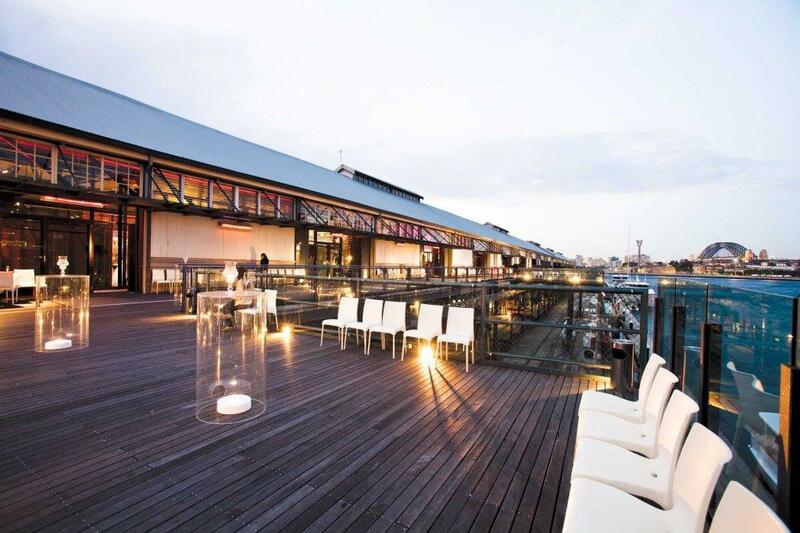 Catalina has played host to some of Sydney’s most spectacular private and corporate events. With an uninterrupted 180 degree Sydney Harbour view, the versatile function venue is perfect for blank canvas events where only your imagination is the limit. From small intimate gathering to large scale cocktail parties, you’re invited to party as they do in the Caribbean in an inner city pub that is unlike any other. Cauliflower offer a range of function spaces so suit all sizes and even offer a rooftop function area. Centennial Homestead is stunning function venue that offers the ultimate garden party setting. With many formal and casual indoor and outdoor spaces, Centennial Homestead is the perfect backdrop for weddings, corporate and social events. Boasting Clareville Beach as its backdrop, Clareville Kiosk is a small and intimate function venue that is perfect for weddings and cocktail functions. Looking for a little corporate island retreat in Sydney’s CBD? 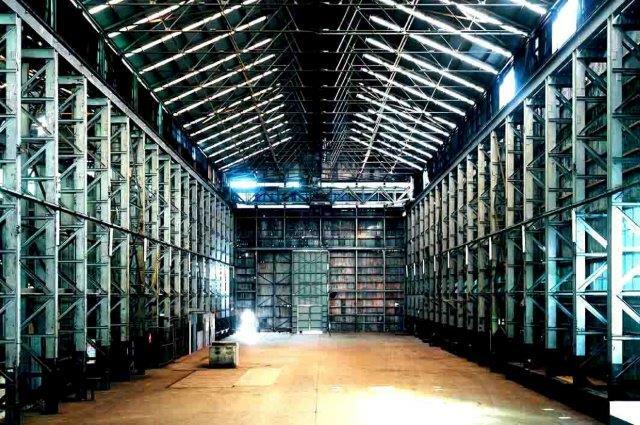 The Conference Centre on Cockatoo Island makes the location for corporate seminars and product launches through to exhibitions and theatre-style fringe events. Clubhouse Rosebery can cater to all types of functions, any day of the week and is perfect for Weddings, Engagements, Birthdays or Corporate/Social Events with capacity of 100 guests. Boasting panoramic views of Sydney’s city skyline & Cockle Bay, Cohibar is Darling Harbour’s premier cocktail lounge and event venue. Whether it’s a birthday, cocktail event or corporate function, if you’re after one of the best venues in the city to host your special occasion, let Cohibar take care of all your function needs. Cromer Golf Club is located on the Northern Beaches of Sydney and offers private function rooms and top of the line function facilities for any special occasion. 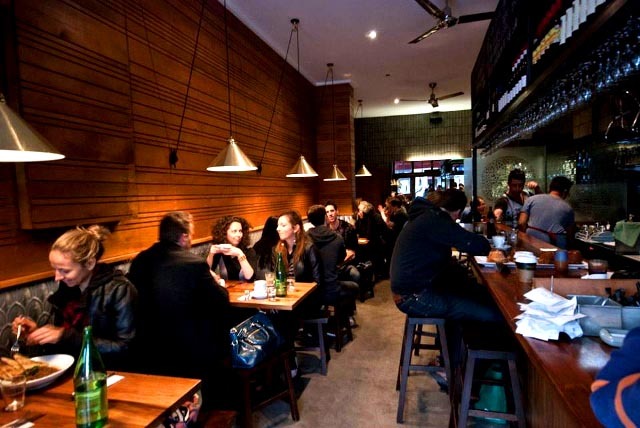 Daisy’s Milkbar is a modern update on the classic and much adored Australian milk bar. Café by day, the venue can be transformed into a function venue, and its retro-inspired décor injects a degree of fun into any event. Daisy’s can host functions of up to 60 people, with cocktail, sit down or a mix of both styles well catered for. Della Hyde has been inspired by the very best of Wes Anderson, offering a unique and exciting function venue. Perfect for cocktail style events, Della Hyde can accommodate events of up to 180 guests. 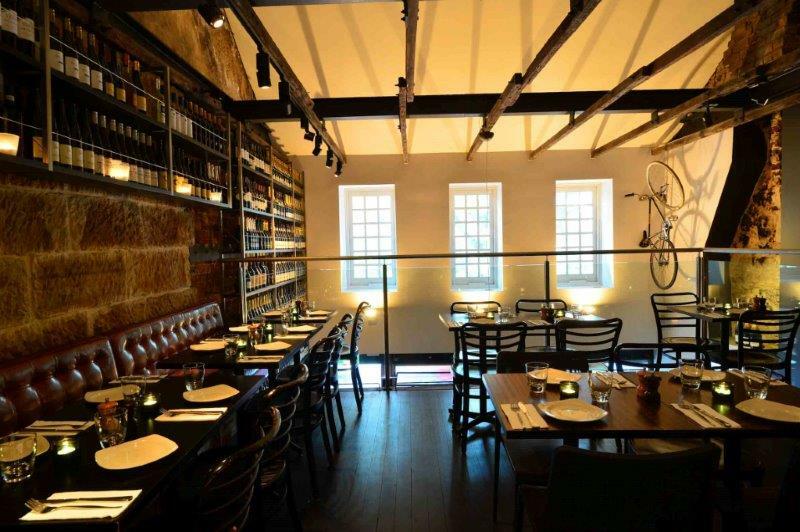 Voted ‘Pub Of The Year 2015’ by Time Out, Dove & Olive’s versatile spaces range from intimate to grand, accommodating parties of up to 120 across the entire Top Floor. Depending on the size and style of your event, Dove & Olive will create your dream event in any of their function rooms. Overlooking Sydney Harbour and Clifton Gardens Beach you will find the modern coastal styled East Coast Lounge which as well as being a wine bar and artisan furniture store, is a stylish function venue perfect for all event types. 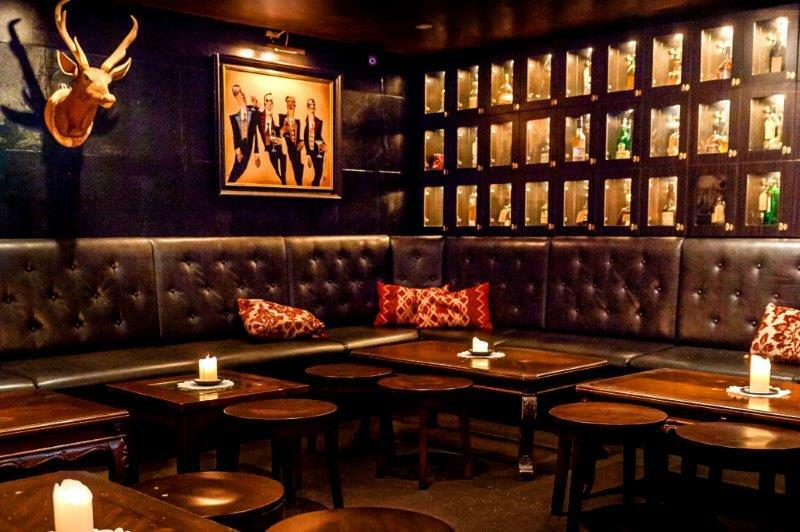 Eau-de-Vie’s hidden function room not only offers a private space which is hidden from the rest of the bar, but the Whiskey Room, as the name suggests, is dedicated to all things whiskey. The private function room can host pre wedding celebrations, corporate events, PR launches, post production wrap parties or group catch ups for up to 35 people. If you’re looking for an exciting venue to host your next corporate function, team building exercise or party, then why not choose Escape Hunt Sydney. If the name hasn’t given it away, this exhilarating group activity is challenging and is a great option for all styles of functions. Foundry 616 is incredibly well suited to live performances, as well as elegant cocktail parties or corporate events with a side of great live local and international jazz. Frisco is the perfect location to host any event from after work drinks to large corporate and cocktail style functions. 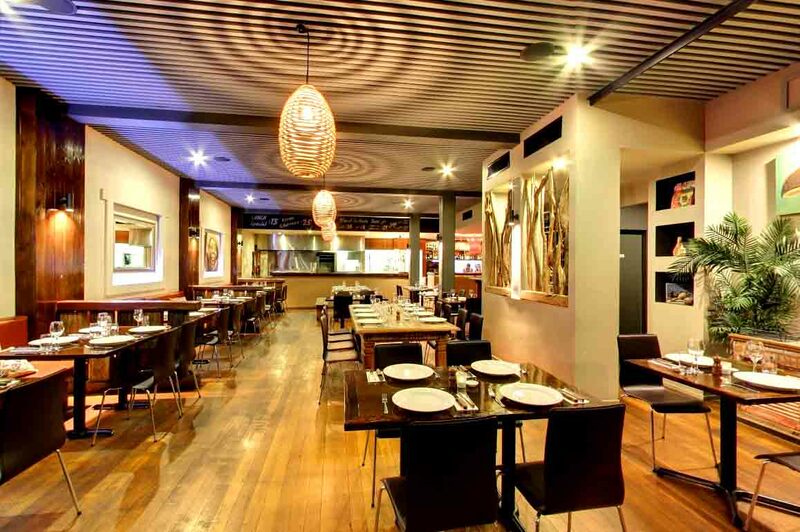 With multiple function areas to choose from depending on the size of your party, it’s easy to see why Frisco Hotel is one of Sydney’s loved hotspots. Hard Rock Cafe Sydney’s spectacular setting also offers state-of-the-art audio visual facilities suitable for cocktail parties, birthdays, weddings, engagement parties, receptions, graduations, after-grads and much more. With seating for up to 350 guests; the venue comes themed with rock inspired memorabilia from Australian and international artists. Exclusive use of the venue is available for large functions with a capacity of 1100 guests. Have your next function at Harold Park Hotel where you’re spoilt for choice with 2 great function spaces to choose from. Harold Park is perfect for all of corporate functions, celebrations, and intimate events. The Hive Bar is a small neighbourhood bar in the bustling Erskineville village of Sydney’s inner west offering function rooms which are perfect for cocktail style functions. 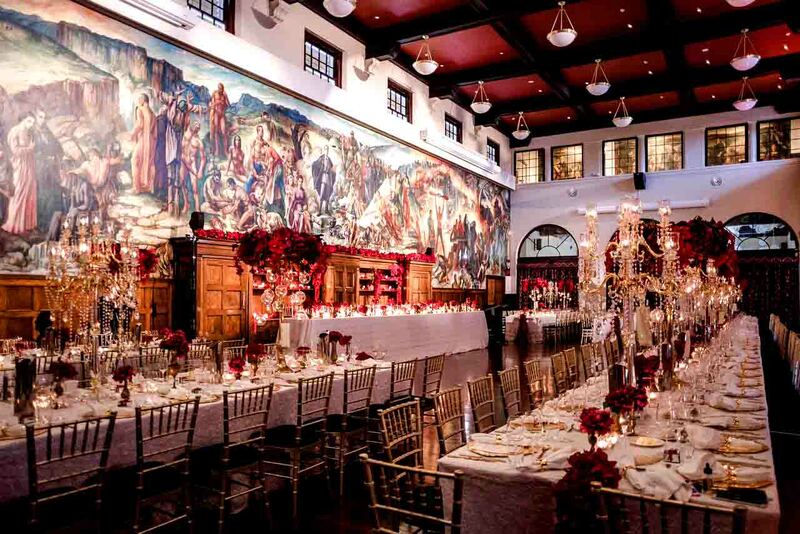 HostCo has a range of heritage venues and impressive function spaces located within the picturesque grounds at the University of Sydney. Combining a historic atmosphere with modern technology, there is an array of function spaces to suit every type of event. Housed within a heritage-listed sandstone building (built circa 1820), Imperial Peking Harbourside boasts a rather spectacular view of the Sydney Opera House, and Harbour Bridge and is an ideal venue for executive meetings, exhibitions, workshops, presentations, cocktail events and even sit-down dining events. Jardin St James has been inspired by French dining culture and cuisine, where there is a strong love and focus for seasonal Australia produce. It’s nestled in Sydney’s oldest church in the heart of the CBD and offers both an outdoor garden setting as well as a hidden underground function spaces. The King Street Brewhouse is a sprawling, open space and as such, is also an incredibly versatile function venue. 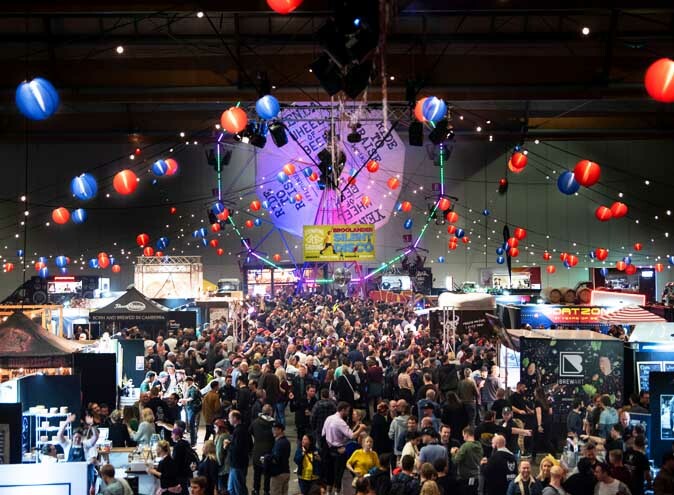 It lends itself to just about every type of function, ranging from the “friends catching up” event, to the “epic conference”, to the “office party”, to the “birthday party”. Kit & Kaboodle hosts some of Sydney’s most prominent house DJ’s creating an atmosphere suited to those who know how to party. Famed for its themed club nights and plush décor, Kit & Kaboodle offers a the perfect spot to host a party where you and your guests are sure to dance the night away. Kittyhawk is a high volume cocktail bar focused on great cocktails and exceptional experiences. The venue is designed around the Liberation of Paris in 1944 and brings together an old world charm with modern and delicious food and beverage offerings. Loft is a sleek multi-functional venue space split over three levels, ideal for unique events. A beautiful waterfront location in Pyrmont with beautiful views of the Harbour Bridge and city skyline. Suitable for hosting groups of 50 to 250, Loft is the perfect venue for medium sized conference events, engagements, birthdays, product launches, cocktail parties and more. Lot.1 Sydney is a three-level establishment that fuses the affluence and luxury of decadent interiors with impeccable service. With an entire venue capacity of up to 400 guests and the flexibility to customise each nook and hidden room, there is very little you can’t do in the space. Love, Tilly Devine is charming and uber cool Sydney function venue which has been named after a notorious underworld figure Tilly Devine. Offering an intimate space, it’s perfect for small functions and celebrations. Manta offers an exceptional harbour dining experience, with spectacular views of Woolloomooloo Bay Marina and Sydney’s city skyline, making it the perfect choice for your upcoming function. Both dining and cocktail style events are catered for, making it the ideal setting for all occasions. With expansive views of iconic Sydney Harbour and the city skyline, Marquee specialises in corporate functions, networking receptions and product launches. Designed like no other entertainment venue in Australia, Marquee is a versatile, music-centric space that can tailor itself to any event. Located in Surry Hills, Mille Vini’s mezzanine level offers a sophisticated semi-private function space ideal for birthdays, celebrations, product launches, corporate events & more. Food options range from canape selections through to set menus, along with drink packages, are tailored to each individual event. Ormeggio boasts a fantastic venue and award winning cuisine ensuring any function that they hold will be talked about and remembered for years to come by you and your guests. Ormeggio is the Italian word for ‘mooring’ or ‘berth’ which reflects the restaurants unique waterfront setting, and as evening falls, restaurant diners can enjoy the magical lights which sparkle across the Harbour. OTTO has earned its reputation over the years, with many agreeing it offers the quintessential Sydney restaurant experience; impeccable service, quality food and stunning waterside views. OTTO has a number of dining spaces available for private functions; both seated and cocktail. Whether it be for an intimate family dinner, corporate event, or special occasion party, OTTO offers a selection of menu and beverage package options to suit each individual function. Petersham Town Hall offers a range of intimate function and dining spaces to suit all manner of sizes and cater for all your function needs. Its art deco design holds historical significance and its beautiful interior and grand foyer is perfect for cocktail parties and wedding ceremonies. PLAY BAR is a super versatile function venue that can accommodate all types of events, functions, parties, and more. The Riverview Hotel is the perfect function space for your next business event, birthday party or media launch. Housed in a beautifully restored hotel in the heart of Balmain, The Riverview love to host all manner of occasions, with no function too big or too small. Rubyos truly delivers an authentic tapas style of dining where all celebrations begin on the table. 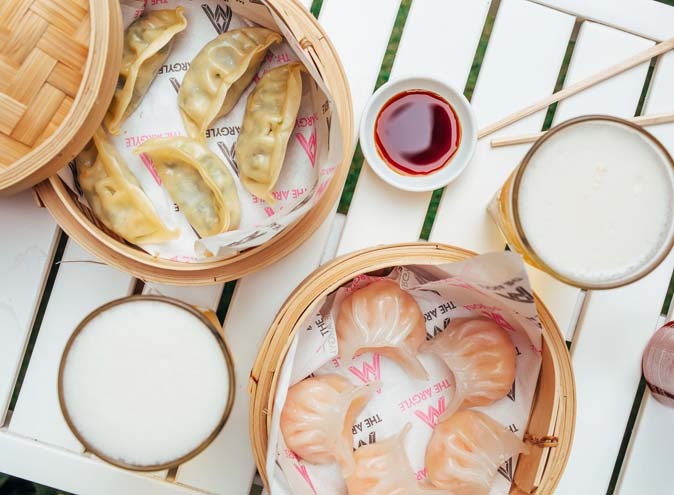 Offering an eclectic “fusion” grazing menu, Rubyos will ensure love and laughter goes into every function, whether it’s an intimate dinner for 10 or large cocktail party for 80. Rydges World Square is the ideal function venue for meetings and events, boasting state-of-the-art technologies. Each of the seven function rooms provide flexible space and catering options that can be tailored to suit your needs. Seacliff is Wollongong’s newest and most spectacular function venue catering from 40 – 290 guests. Boasting state of the art facilities, Seacliff’s waterfront location is what sets it apart from the rest. Sefa Kitchen is a boutique 45 seater modern Middle Eastern restaurant and is available for hire for both sit-down and cocktail events. Its exposed brick facade, hanging plants and brightly coloured furnishings provide an inviting atmosphere, making it ideal for smaller functions and events. Located in the heart of the Sydney CBD in a heritage-listed storehouse, Since I Left You has been designed to blend a relaxed, welcoming feel with old-school decadence and charm. They offer great spaces for a cocktail party or sit down dinner throughout the year and welcome birthday, engagement and corporate event functions. As a premium conference and events venue, Sir Stamford offers all the luxuries of a boutique hotel and makes the ideal venue for small to medium size business functions as well as seminars, product launches, incentive events or VIP dinners. It’s this sense of relaxation that give SoCal its unique atmosphere and makes it the perfect function venue for any type of occasion. 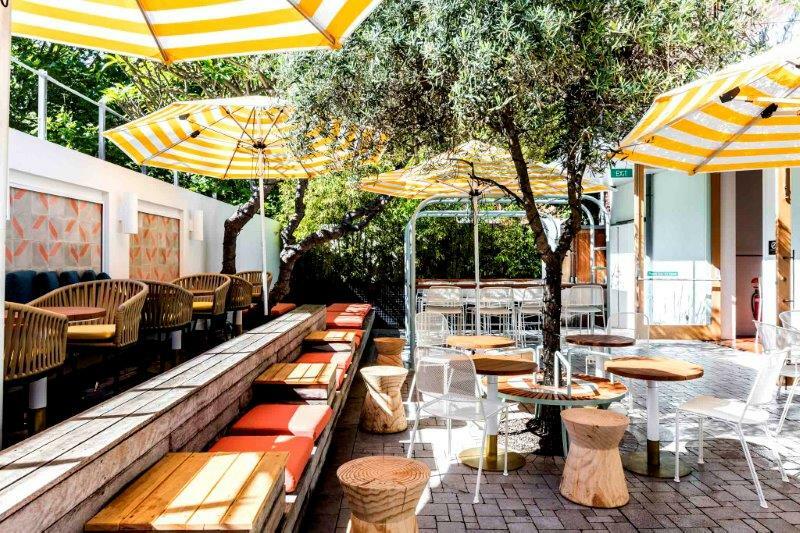 SoCal brings the beach bars of California to Sydney;s Neutral Bay, creating a place that’s bright and oozes a relaxed atmosphere. The outdoor terrace is popular for all styles of functions and can accommodate any celebration and occasion. SoHo, Doltone House is a unique and sophisticated private venue function space located on Sydney Harbour. SoHo offers a contemporary split-level design with elevated harbour views and an expansive rooftop terrace that will take your breath away. Steel Bar & Brill is one of Sydney’s most versatile function venues, offering a range of spaces to suit your style and event needs. Offering multiple spaces to suit your needs, the venue is well equipped and flexible in a wide range of formats to suit any group size. Regarded as one of Sydney’s most unique studios, it features a harmonious blend of industrial, retro and contemporary influences. 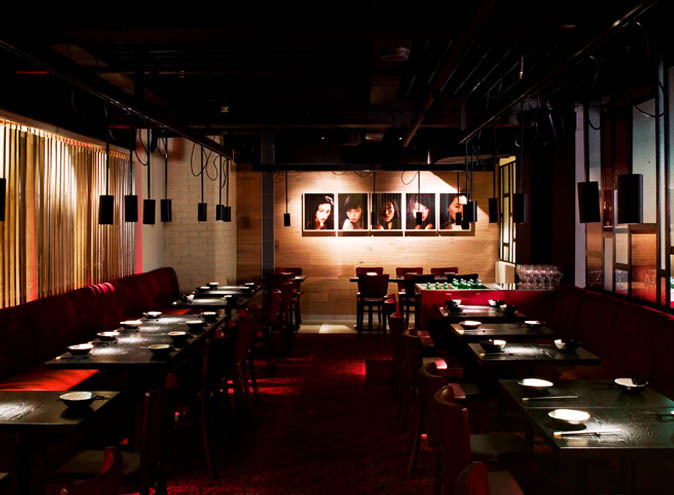 It can be used as a bustling photography studio or corporate events space by day, Studio Neon transforms into a chic dining venue at night. 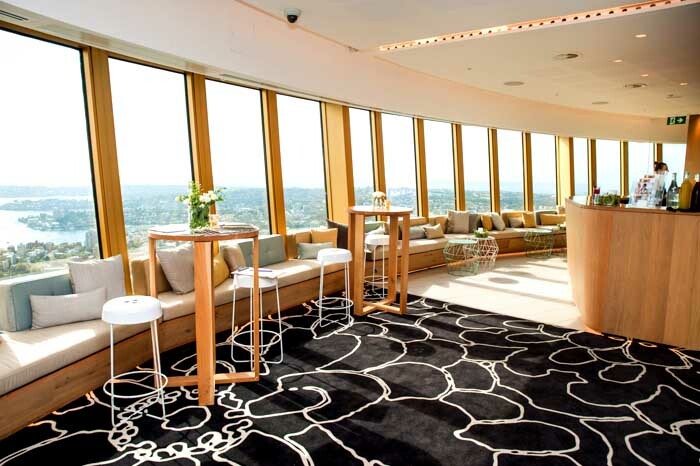 STUDIO, Sydney Tower is Sydney’s highest event space and bar. Perched a measly 305 metres above Sydney’s CBD, it offers 220 degree views over Sydney and is unlike any other function venue in the city. Drawing inspiration from a New York loft inspired design, this function space comes with all the bells and whistles and the highest quality food and service. The Swanson Hotel is the ideal function venue to host your next event. Its central location and versatile layout makes it appealing for all types of functions and the events team at the Swanson Hotel makes planning your upcoming function easy. Sweethearts is one of the hippest function venues in the heart Potts Point, offering panoramic views of the city and offering an awesome beer garden to hold function and events that are more on the relaxed side. Looking for a function venue that will really impress? What about a function space that shows all the major sites of Sydney…offshore? 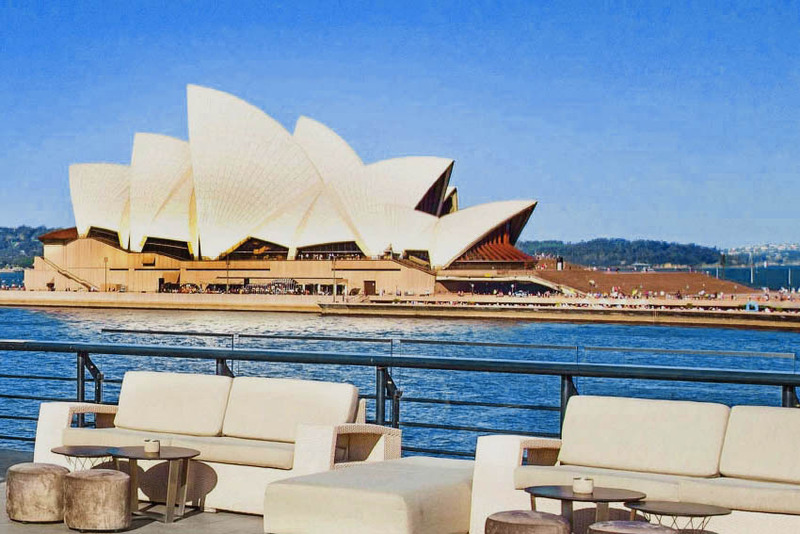 Sydney Harbour Escapes has over 100 boats for charter which range from small intimate private dining boats to large event boats that can cater for up to a staggering 950 guests. The Taronga Centre is uniquely located in the iconic grounds of Taronga Zoo. Offering panoramic views of Sydney, the Taronga Centre offers a number of different function rooms and provides flexible meeting, exhibition or banquet spaces to suit any type of event. Tatler is the original ‘speakeasy’ bar of Sydney and now the “secret” is out, they pride themselves on offering a “secret” venue to host all kinds of functions from birthday parties, to corporate events, private functions, engagements, product launches, album release parties, live music events, performances and wedding receptions. The Bourbon function centre is located within the inner-city suburb of Potts Point, just a stone’s throw away from Sydney’s CBD. Whether your event is large or small, the catering packages provide a range of versatile options and their range of intimate meeting and boardrooms, conference and training rooms and function areas can cater for all. The Calyx is one of Sydney’s most impressive function venues and event spaces. 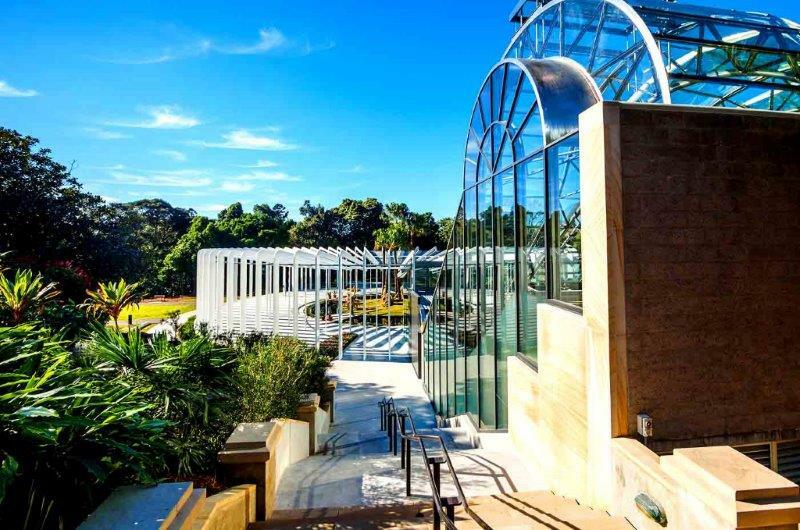 Housed within the Royal Botanic Gardens Sydney this unique venue features stunning architectural design and is perfect for both sit-down and cocktail events and offers both indoor and outdoor function areas. The Captain’s Balcony in the centre of the CBD is not only a much loved watering hole, but also doubles as a chic function venue that is ideal for business meetings during the day, after work drinks in the evening, and parties and celebrations all week long! 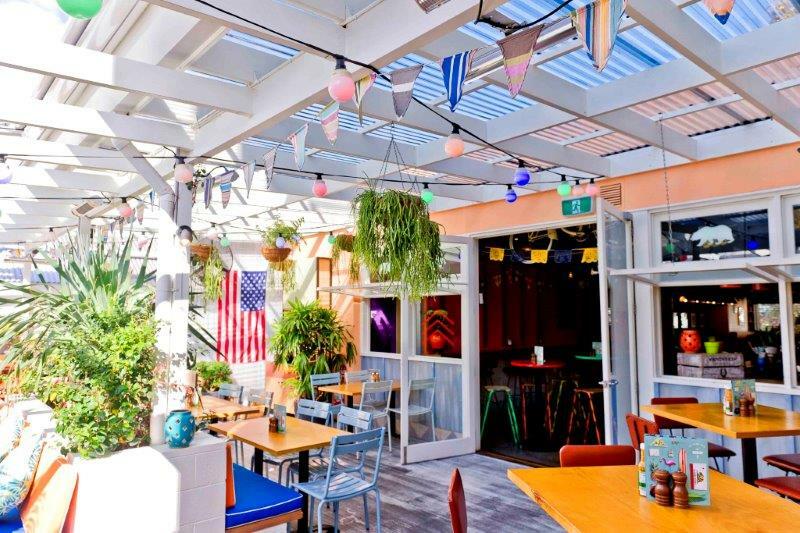 The Corner House is a much loved resident in Bondi with a laidback vibe that you and your guests will just love. Offering several function rooms depending on your size, they provide tailored drinks and food packages to accommodate all your function needs. Designed by award-winning architects Six Degrees, The Crossing provides comfort and ambience and prides themselves on hosting memorable functions and events of the highest calibre. Located in the heart of Bondi Junction, The Eastern houses three unique levels of infinite entertainment and function possibilities. 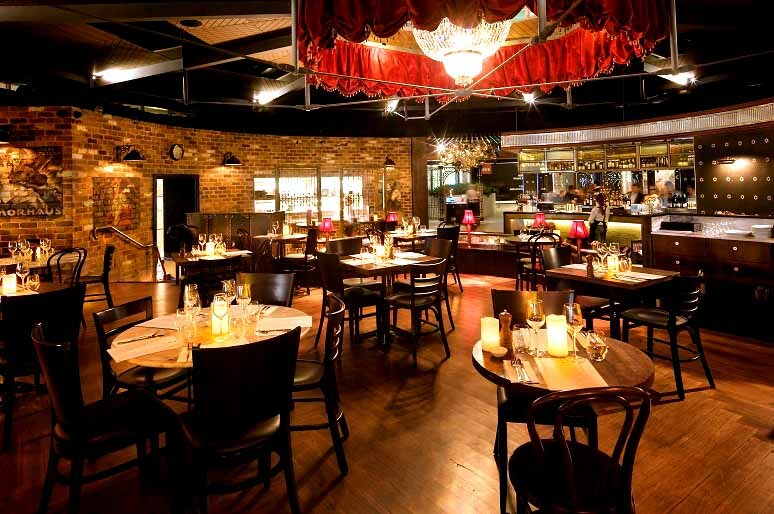 From From El Topo Mexican Restaurant, to El Topo Basement (the venue’s nightclub bar), to their main event space Level 1, The Eastern can host anything from intimate private parties through to large corporate functions any of their function spaces. The Freedom Hub is a unique warehouse venue that offers an open plan design with elegance and style in a blank canvas space. The initiative behind the venue gives guests to party with purpose, meaning all profits from functions and events providing support to victims of human trafficking and slavery in Australia. 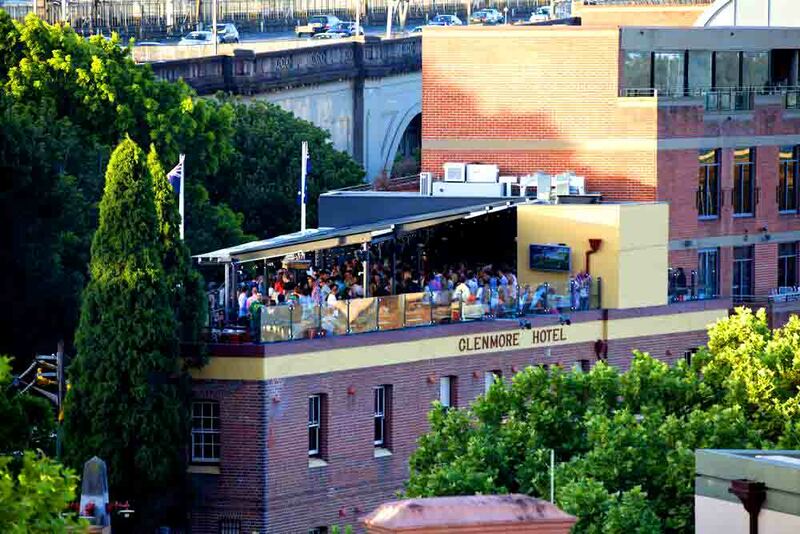 The iconic Glenmore Rooftop located at The Rocks is known for its incredible rooftop terrace, and after years of hosting a multitude of events and parties, you can rest assured your function will be a truly memorable one. From intimate private dining, breakfast meetings and engagement celebrations, to a corporate events and award ceremonies, there is nothing they can’t do. The Lane makes the ideal function venue for any event or party offering casual European style dining. You and your guests will receive quality service whilst enjoying an intimate dining experience. The Loft located in Sydney’s CBD provides one of the most stylish waterfront cocktail lounge venues in the city. Catering for all kinds of functions, from cocktail birthday parties, to corporate events, and with multiple areas within the venue for hire, The Loft pride themselves on delivering functions with a difference. Set amongst the Blue Mountains, The Lookout, Echo Point is one of the most picturesque venues you can find in Sydney. The flexible design of The Lookout, Echo Point means it is the perfect space to host a range of functions, from wedding ceremonies to corporate morning teas, birthday celebrations and even engagement parties. Why not treat your guests to a bit of magic at your next function. La Fortuna Cabaret Dinner Show offers performances and acts in between your four course meal that are set to shock and impress. The Magicians Cabaret has long been one of Sydney’s most unique and highly sought after event venues, and makes the perfect alternative to average dining functions. The Papermill 414 offers a function venue that is suitable for all kinds of special occasions, from corporate functions, to weddings, and beyond! Its minimalistic décor and open plan makes it perfect for cocktail functions and they offer a wide range of catering options, including sit down meals, buffet style receptions and cocktail canapés. t launches and corporate functions, as well as dance, theatre and artistic concerts. The Roosevelt Bar & Diner takes you right back to century old dive bars of the past, offering a number of sophisticated spaces for parties small and large to accommodate an array of celebrations from brand launches to birthday parties, corporate functions, team building events and weddings. Make sure you enquire about their Hidden Private Room which is perfect for intimate dining experiences for up to 12 guests. The Royal Leichhardt specialise in all styles of group functions, from large a-la-carte bookings in the dining room, to smaller get togethers in the courtyard where everyone can pay for their own. Offering both private/semi private rooms for cocktail parties and formal sit down dinners, The Royal is a great choice for fuss-free functions and events. 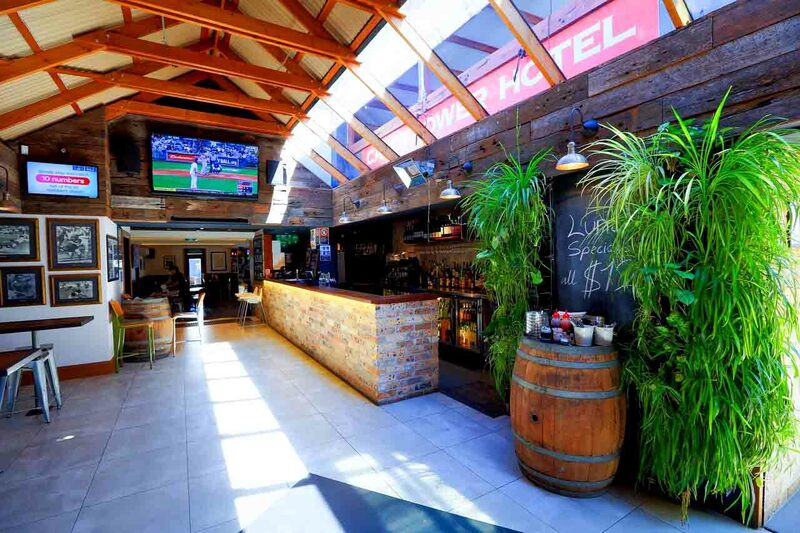 The Tilbury Hotel is situated in the heart of Woolloomooloo and caters to all as a pub that’s all things to all people, just at different times. Get together and mingle in style with multiple function rooms of varying sizes available for hire. Three Williams’ offers refined simplicity and deliver bespoke events. Whether it be a formal celebration, wedding reception, product launch or simply getting together with friends and family, Three Williams have the perfect space for you to host your perfect function. The Treehouse makes a great function venue for any event, from corporate functions through to birthday and engagement parties. The vibe is chilled and it’s this relaxed atmosphere that has seen it grow in popularity, both as a bar and function space. The Tudor is not only a much loved watering hole, but also doubles as a chic function venue that is ideal for business meetings during the day, after work drinks in the evening, and parties and celebrations all week long! Located in the heart of the UNSW Kensington Campus, the Roundhouse is a beautiful adaptable space suitable for a wide variety of events such as conferences, parties, corporate dinners, weddings and more. Celebrate your next event, party or function in style aboard one of Vagabond Cruise’s vessels! Over 30 years experience makes Vagabond Cruises one of Sydney Harbour’s longest established boutique cruise companies. Vagabond has over 30 years cruising experience in Sydney Harboour. 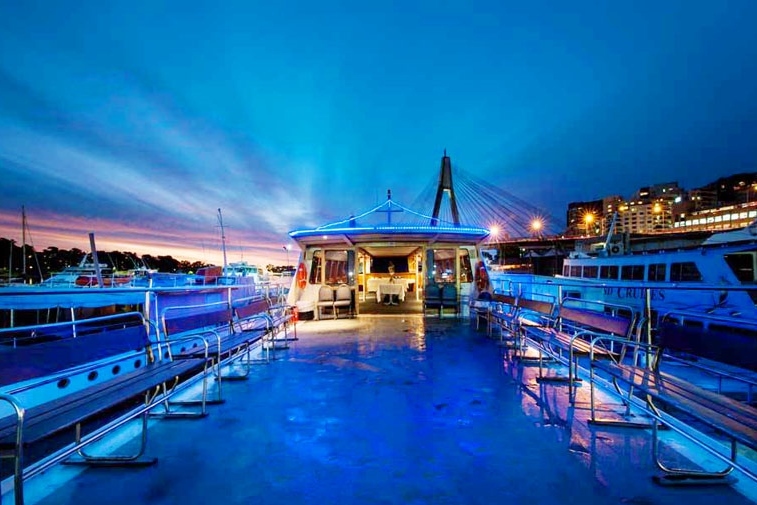 Their boats for charter range from small intimate private dining boats to larger party boats and all the sites will have you and your guests in awe of Sydney’s stunning cityscape. Located right on the water’s edge, the Watershed is the ultimate venue for your next event, function or party. Woo! Space offers a private function space, the Woo!mb which is a beautiful, open plan space that seamlessly blends stylish modern fittings within an edgy, loft style building. Perfect for small functions such as meetings, seminars, and other corporate events, the Woo!mb is a charming exclusive space in a gorgeous venue.